For the entirety of my life in Europe, I've celebrated Christmases without a tree. Not as some stance for eco warriorship, but because I either couldn't afford it, didn't have space for it, or I'd get my fix on the odd years that I went back to Canada to celebrate in my mama's cosy home. This year however, on my birthday, I came home to my husfriend grinning from ear to ear and a little sustainably raised organic (which you find at the farmer's market or organic stores) xmas tree, the perfect size for our tiny apartment, all green in its pine glory sitting on the side table. I was overjoyed, but quickly remembered that though getting a real tree is greener than getting a fake one, there are other alternative options too. Last year Uber offered a program here in Paris where you could order a living tree, decorate it and spend Christmas with it, then they'd come back and re-plant it for you, which they sadly didn't continue with this year, but in my opinion that's the greenest solution for pine-a-holics like me. 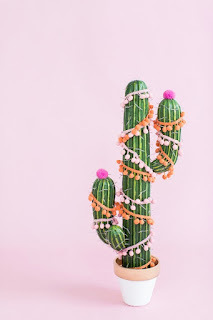 For those with apartments smaller than mine, or with no access to organic trees, Pinterest offered a number of ways to get the Christmas vibe without an acrylic tree. These reusable ReTrees are handcrafted in San Francisco out of sustainably forested hardwood and can be easily be assembled solo or with buddies and packed back up into the cloth bag it comes stored in. Make your own cardboard Christmas tree following this DIY and turn your holiday sapling into a collective art piece. 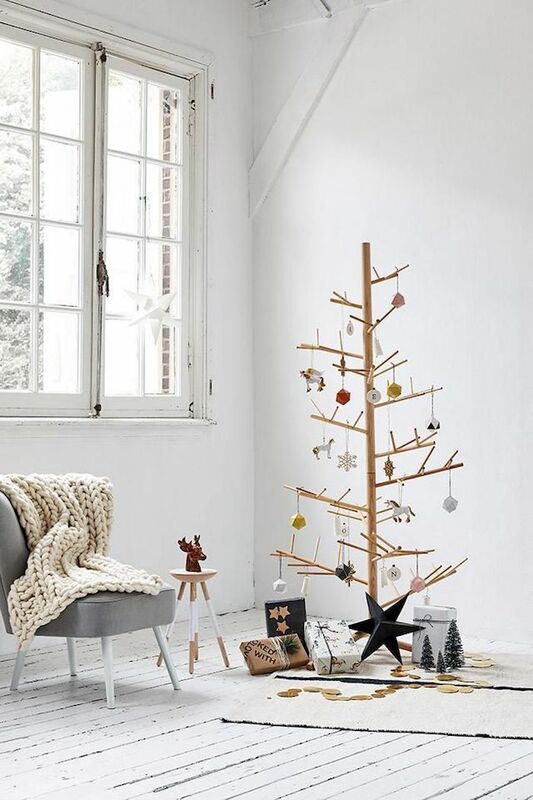 Get creative with your Christmas tree with this unique holiday tree frame. Since I married a Texan, stereotypically speaking, I probably should have thought of this myself. 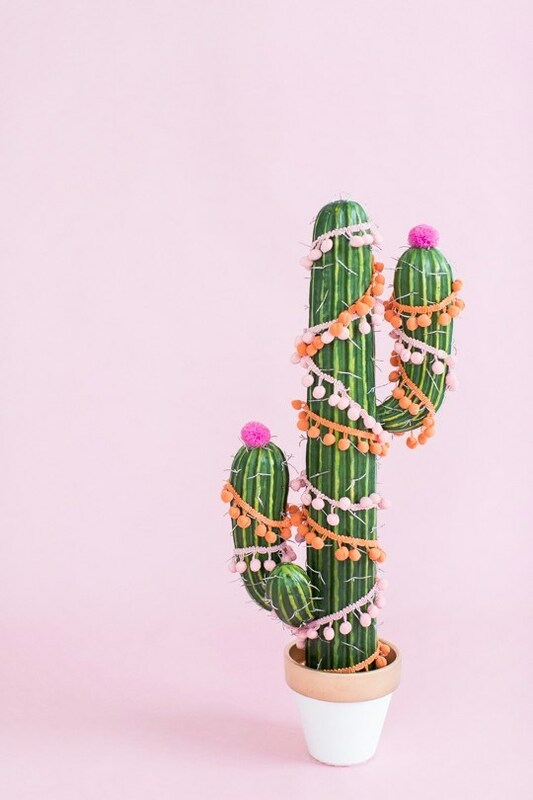 Succulents and Cacti are about the only plants I can keep alive so buying a big ole bold one and having it decorate our apartment all year round would probably have been a more sustainable choice. 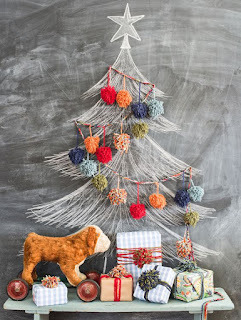 Find a good spot for chalkboard paint and draw your holiday tree yourself. It's a super sustainable way to have an ever changing artscape and could be cosy for Christmas as well. Do a little wall art with post cards, branches, and other bits and bobs to create a festive piece of wall art.